What it is: Apple introduced services at its latest event that will provide income beyond the iPhone. For the longest time, Apple was dependent on the Macintosh. The company tried to branch out into TV sets, game consoles, and personal digital assistants, but failed. Then Apple got another hit on their hands when they introduced the iPod. The iPod carried the company forward and then iTunes came along to support the iPod and also sell music downloads. The combination of the iPod and iTunes made Apple dependent on that product instead of the Macintosh. Then Apple introduced the iPhone, which effectively killed the iPod. You can still buy an iPod, but for the most part, it’s a dead product because most people have a music player in their smartphone. Now Apple is branching out from the iPhone to services. Services provide a steady, ongoing revenue stream, but the key is that services need to solve a specific problem, just like technology needs to solve a specific problem. People rapidly adopted the iPhone because it was a far better solution than previous smartphones from Nokia and Blackberry or Windows Mobile. People are still adopting the Macintosh as an easier alternative to Windows. So with so many services introduced, what problems do they solve? Apple News+ is the only service currently available and basically gives you access to hundreds of magazines and newspapers. Basically the only problem it solves is that it gives people access to more magazines than subscribing to them individually, but that’s only if Apple News+ offers the specific magazines you want to read. Otherwise Apple News+ simply gives you access to magazines you don’t care about anyways. For some people, Apple News+ will be useful but for many more, it will not. That doesn’t mean Apple News+ will flop, but that it’s not necessarily a major product like the iPod, iTunes, or the iPhone. Apple Arcade is far more interesting because more people like games than like reading multiple magazines. By giving you access to multiple games at a fixed price (yet to be determined), you can enjoy games that you might not have considered buying otherwise. This gives game developers an incentive to offer unique games beyond the usual first-person shoot ’em up game mechanics while also giving subscribers a safe way to explore other types of games. Apple Arcade may be better than Apple News+, but games alone won’t make Apple a bundle of money. Apple TV+ is the riskiest of all services because it doesn’t matter how many A-list actors or directors you throw on a project. That project can still fail. Apple TV+ will simply provide people with another source for original content, but whether it’s worth paying for or not will depend on the content and the cost. Despite being the riskiest service, Apple TV+ does offer potentially large profits to rival Netflix or Hulu. Expect Hulu to whither away and Netflix to merge with someone eventually to stay alive. Perhaps the service with the greatest potential is Apple Card, which eliminates fees and gives instant cash back rewards. 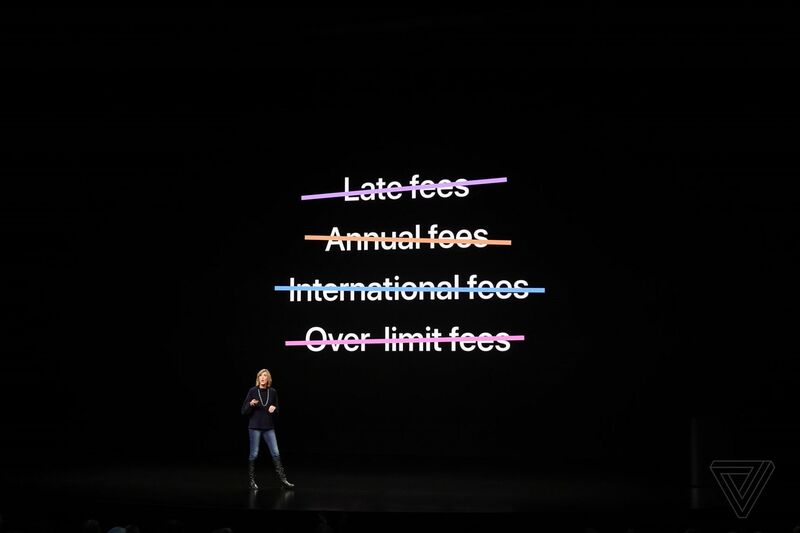 Just eliminating fees alone is a big deal but offering clear account statements along with financial tracking features gives Apple Card a huge advantage over all existing credit cards. Making the Apple Card more secure is just another advantage and offering people a titanium, laser-etched credit card with no number or signature further enhances security. Since everyone needs a credit card, Apple Card is likely the most promising service of all. A large majority of iPhone users will get an Apple Card and Apple will make money off purchases. Such a steady stream of income will likely dwarf anything Apple News+, Apple TV+, or Apple Arcade can ever earn. Apple Card is the big success of all of Apple’s services followed by Apple Arcade, Apple TV+, and Apple News+. Services are the future and with Apple Music already entrenched, services will simply allow Apple to grow beyond their hardware roots and thrive by customizing their future hardware to support their services. What it is: Apple introduced a new credit card called Apple Card. Most banks issuing credit cards try to nickel and dime customers with fees. They also charge exorbitant interest rates and print cryptic account statements so you can’t tell what you’ve spent or where. In the past, Apple has tackled hardware problems by simplifying and eliminating problems. Now Apple has tackled the problem of credit cards with Apple Card. 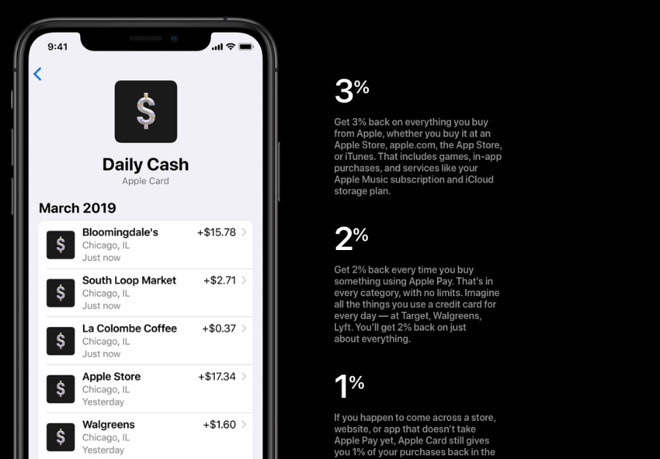 Apple Card eliminates fees, increases cash back rewards to 2% (where most cash back credit cards offer 1% rewards), and also gives you access to your rewards daily so you don’t have to wait until the end of the month or lose track of your reward points. Apple Card is basically Apple’s way of removing today’s current inefficiencies with credit cards and making them easier. This threatens nearly every other credit card issuer because there’s little reason to use an ordinary credit card when you could just use Apple Card instead. Of course, Apple Card is limited to the iPhone or iPad so if you’re an Android user, you won’t be able to take advantage of Apple Card. This is simply Apple’s way of enticing more people to switch to the iPhone while also giving people a more secure way to pay and protect their privacy at the same time. Apple Card is going to succeed because it improves upon existing solutions. It will give Apple money through additional credit card fees and it will entice more people to buy Apple products. Apple’s future isn’t just the iPhone any more. It’s services, and Apple Pay with the Apple Card is just the beginning. To read more about the Apple Card, click here.